There are 100 million active Twitter users. 40 percent of Twitter users don’t actually tweet; instead, they read news, click links, and follow accounts. 15 percent of adult on the Internet used Twitter in February 2012. Twitter has 500 million registered profiles; 100 million are from the U.S. The top three countries that use Twitter are the United States, Brazil, and Japan. It took 3 years, 2 months and 1 day to get to the billionth tweet. Barack Obama’s victory tweet was the most retweeted tweet ever with more than 800K retweets. In 2012, almost 1 million accounts were added to Twitter every day. Lady Gaga – the most followed Twitterer, with almost 33 million followers - gains followers faster than Twitter adds new accounts. The USA’s 141.8 million accounts represent 27.4% of all Twitter users. 50% of Twitter users are using the social network via mobile. There were 13.7 million football-related tweets during the 2012 Super Bowl, 1 million of which appeared in the game’s final 5 minutes. 64% of consumers have made a purchase decision based on social content. 91% of 18-34 year olds using social media are talking about brands. 60% of U.S. smartphone owners now visit their favorite social networking sites on a daily basis, up from 54% in 2011. 31% of the average smartphone owner’s Internet time is spent social networking – close to twice as much as email. Infographics added to Stumbleupon generate 746% more pageviews than other kinds of content. There are 181,354 people on Twitter who use the term “social media” in their bio. 16% of U.S. Internet users are on Twitter. The average business has 14,709 Twitter followers. There are more devices connected to the internet than there are people on the entire planet. 340 million tweets are sent each and every day. During the “Castle in the Sky” TV screening there were 25,088 tweets per second, the most ever. 60% of Twitter users are female. On average, Twitter users spend 21 minutes monthly on Twitter. 92% of retweets are based on interesting content. Only 26% are due to the inclusion of “please RT!” in the tweet. Between 2008 and 2011, there was a 5,000% increase in the number of employees at Twitter. Everyword is a Twitter account created by Adam Parrish in December 2007 to share every word in the English language on Twitter. Since then, this account has tweeted 84k+ words. @RealTimeWWII, a Twitter accounted created by Oxford history graduate Alwyn Collinson, narrates World War II on Twitter in real time; all the tweets are manually written, with no script used. Infographics shared on Twitter get 832% more retweets than images and articles. 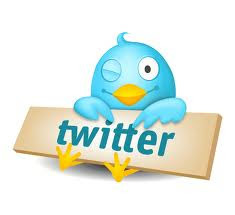 As of the end of 2012, Twitter has more than 200 million active users. Twitter is now worth more than $11 billion. 16% of customers use Facebook, Twitter and the other major social networks to interact with businesses. 75%, or three out of four, heads of state are utilizing Twitter. That’s a 78% increase in the number of heads of state and national governments on Twitter from 2011. On a busy day, Twitter sees about 175 million tweets. 750 tweets are shared on Twitter per second. 30 percent of Twitter users have an income greater than $100,000. There are more searches on Twitter each month than Yahoo and Bing—combined (24 billion vs. 4.1 billion and 9.4 billion, respectively). The original Twitter was launched on CEO Evan William’s birthday. The busiest Twitter moment in history was the “Castle in the Sky” TV screening with more than 25,088 tweets per second. Lady Gaga is the most popular Twitter user with 19,341,413 followers. 92 percent of Twitter users say they would retweet “interesting” content. 64 percent of users access Twitter through Twitter.com; 16 percent access it through a mobile app, and 10 percent through a Twitter client such as Hootsuite or TweetDeck. 69 percent of Twitter users decide whom to follow via suggestions by friends; 47 percent by searching online; 44 percent by Twitter’s suggested followers; and 31 percent by promotion. I hav had a hard time clearing my mind in getting my ideas out. 10 to 15 minutes are generally lost simply just trying to figure out howw to begin. Any suggestions or tips?